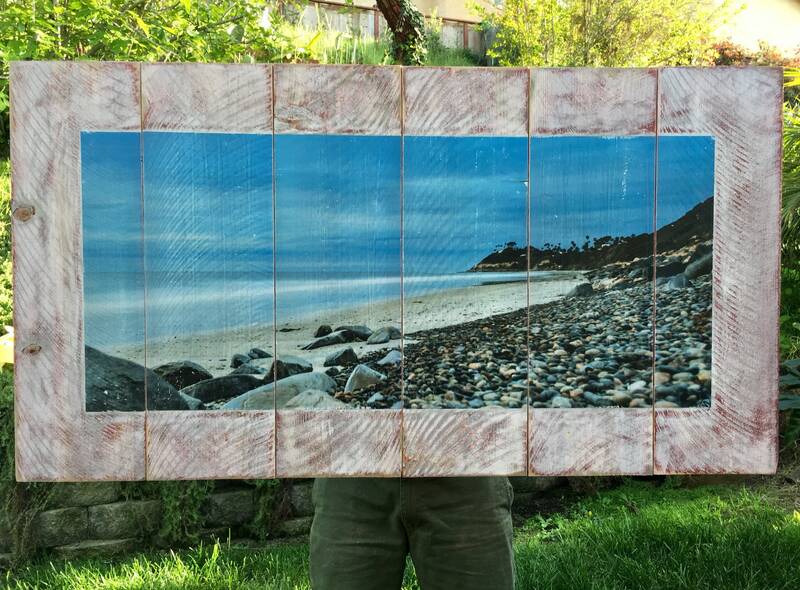 This long exposure shot taken in Encinitas blends the horizon as the sky and ocean becomes one The image was transferred onto 6 pieces of reclaimed wood that are joined together. Its handmade process gives one of a kind result that makes each piece unique. The size is 45” x 24“. Wall hanger included.